Boat trips, mini-train rides, hikes, excursions and visits to heritage sites. Discovery tours are scheduled every week at the campsite of La Baie, some of them including a guide. 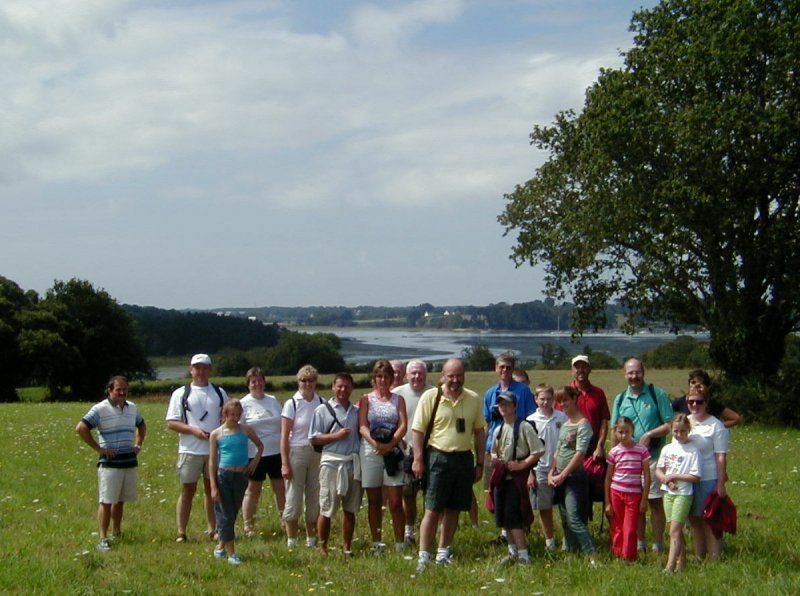 The guide’s commentary will enable you to discover the customs, hobbies and History of this part of South Brittany while wandering Morbihan’s remarkable sites on foot, on a bike or by boat. 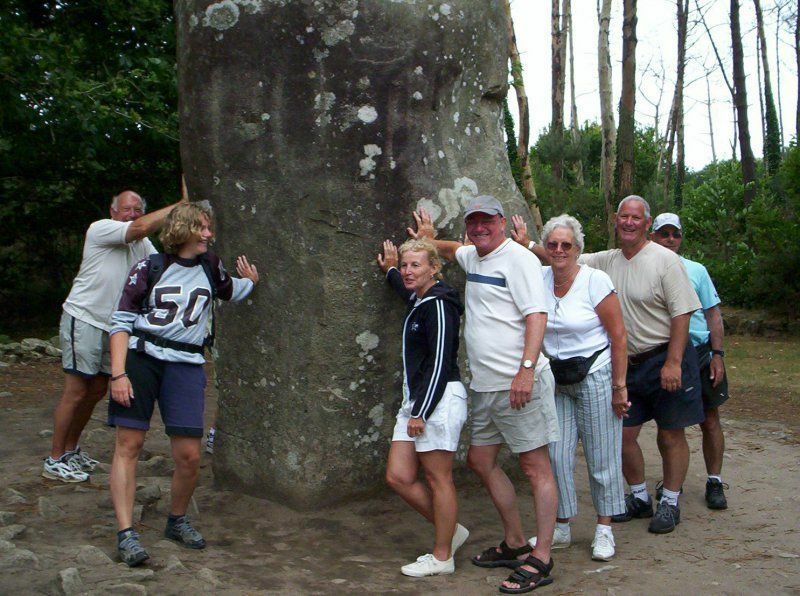 Leaving from La Baie’s campsite, a guided tour offers you the opportunity to discover over several kilometres the famous megalithic sites of Carnac : Ménec, Kermario and Kerlescan’s alignments of standing stones. We can also enjoy the beautiful beach of Carnac-Plage and the harbour of Carnac-Ville. The mini-train will take you to La Trinité sur Mer and its famous marina. 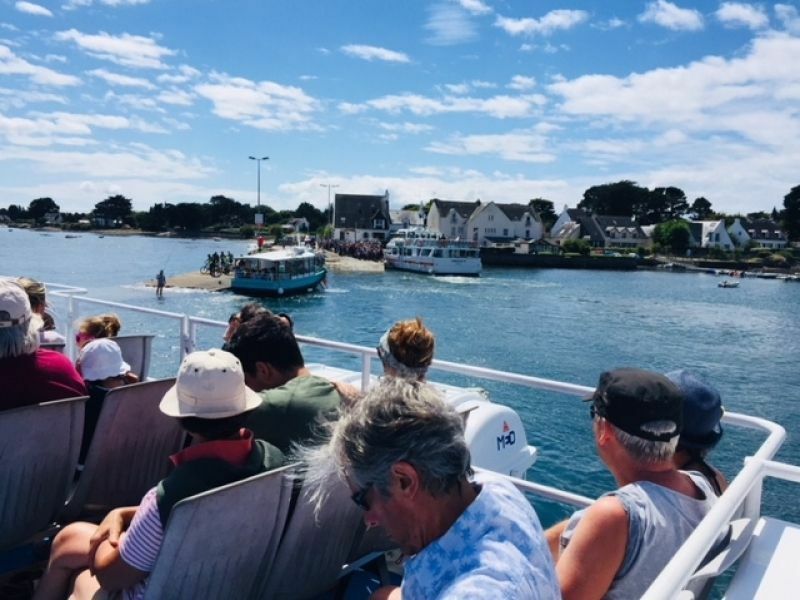 A few kilometres from the campsite of La Baie, departing from Locmariaquer, our associate the “Angélus’ speedboats” proposes boat trips on the Gulf of Morbihan’s waters. Why not take a guided cruise with a complete go-round of the Gulf and stopovers at the Ile aux Moines, or a trip from Auray’s river to Le Bono ? 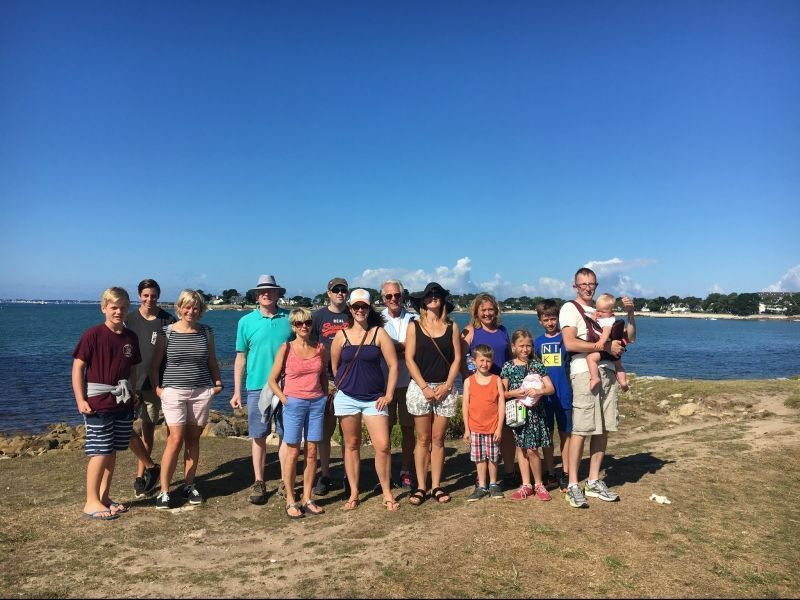 Every summer, La Trinité sur Mer’s tourist office puts together trips, suitable for all ages, with nature guides to discover the fauna and flora of the coastline, including Kervillen’s salt marshes, right next to La Baie’s campsite. The Segway is a one-man electrical two-wheeler with a standing platform. It is a mean of transport that permits the rider to move quickly, quietly while not polluting on a pedestrian zone. 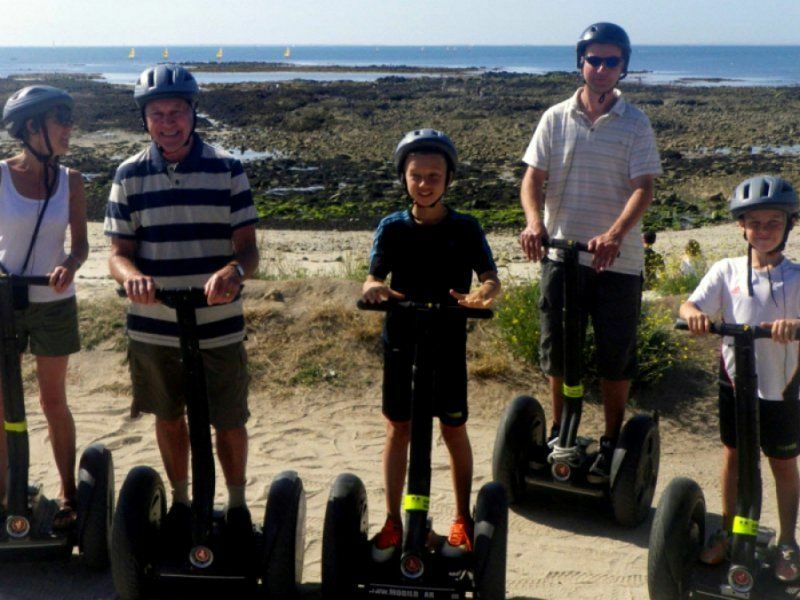 With Mobilboard Carnac, follow many touristic trails along the coastline, from Carnac to La Trinité sur Mer. After an initiation with the staff, you are free to leave the campsite and wander off in the middle of the nature on forest paths with this green, quiet and funny two-wheeler. Let yourself be tempted ! Located close to the campsite, along the coastal path, the salt marshes of Kervillen are a protected natural area, open to the public. A privileged place to observe the activity of the salt workers but also the local flora and fauna. Five minutes by boat are enough to cover the few hundred meters that separate Port-Blanc from the pier of Île aux Moines ... Take the different walking routes that lead from one end of the island to the other. discover the one nicknamed "the pearl of the Gulf".